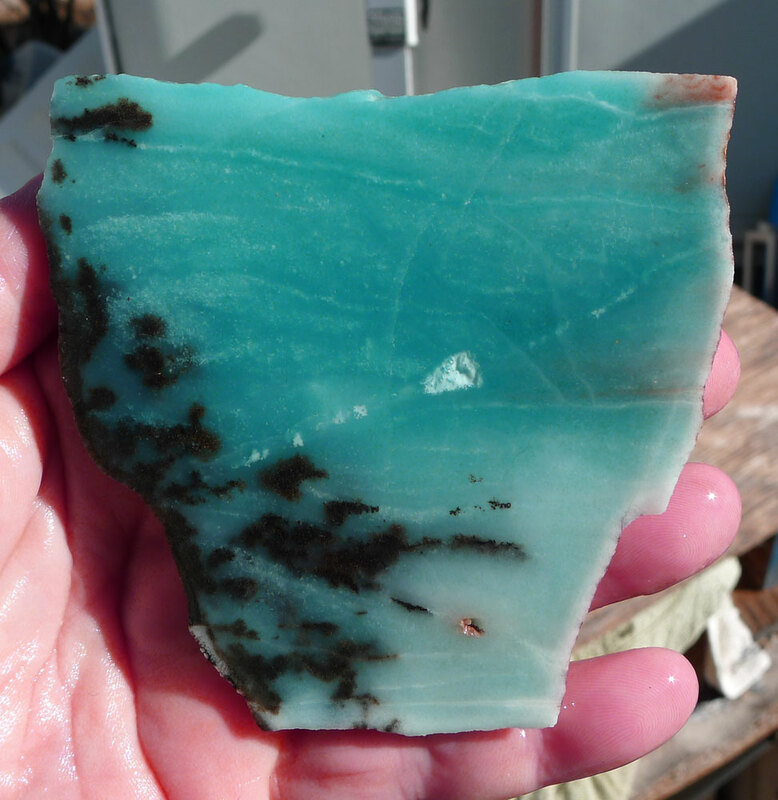 Amazonite Slab for Lapidary Artists and Cabochon Makers - Natural Aqua Blue-Green Amazonite with Black Tourmaline Schorl from Brazil. 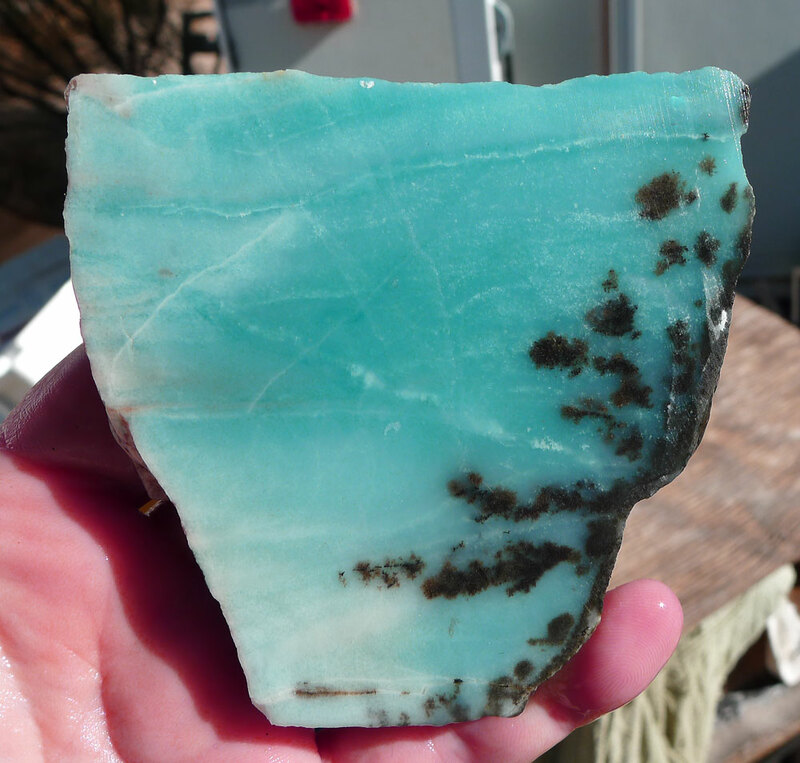 You will receive the EXACT Amazonite slab pictured. Weight : 4.4 oz. - 124.74 gr. 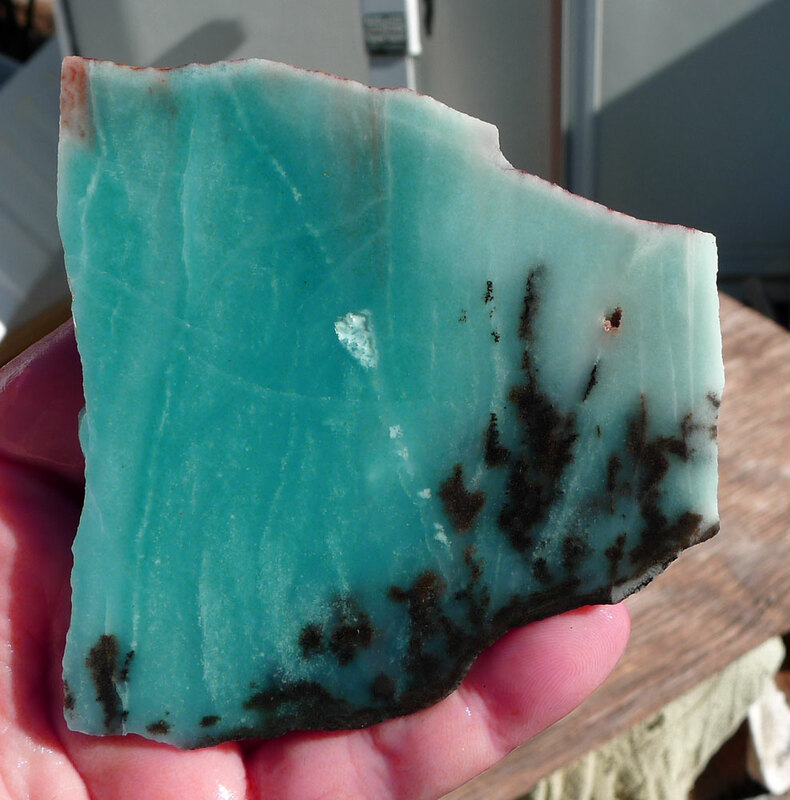 - 623.69 ct.
Amazonite is a translucent to opaque feldspar gemstone with a pretty green color - this variety from Brazil is a very nice Aqua Blue-Green and has inner growth of Black Tourmaline Schorl. Metaphysically, Amazonite is referred to as the Stone of Truth and Stone of Courage; it empowers one to search the self and discover one’s own truths and integrity, and to move beyond fear of judgment or confrontation with others to live in alignment with those beliefs and values. 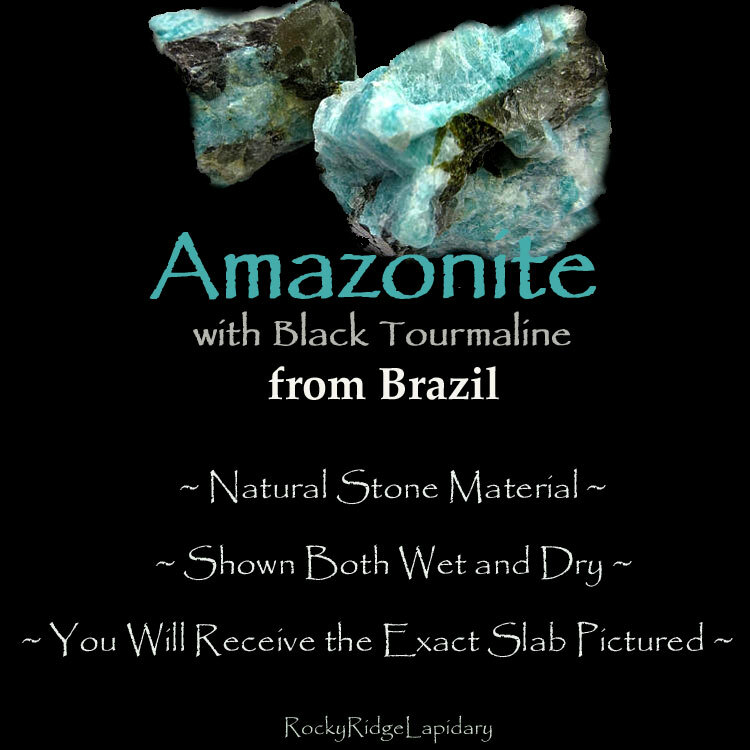 Black Tourmaline is a stone that often forms with amazonite, and when it does it significantly amplifies the protection, grounding, and stability of Amazonite’s qualities. Chakra(s) : Heart and Throat. Please Note: This is a lapidary rough slab; it is not polished. - Slabs are Cut in-house by Michelle of Silver Enchantments LLC here in the USA -- Slab is tapered / wedged; please see measurements above -- There are some light saw marks that will not effect your cabochons. - Edges are rough and natural. - Pictures taken Outdoors and Shown both Wet and Dry. - Measurements are given in total outside/widest points. - I try to show the most accurate photo possible, but there can be color variations due to monitor settings. - I try to note any excessive issues, but please zoom in to examine for any flaws. - I cannot be responsible for fractures, vugs or blemishes from mother nature. Photo prop(s), finished cabochon examples(s), etc. are not included.